They are born from their mother's womb and drink their mother's milk. Some babies, like lambs, can walk when they are born. Others cannot. 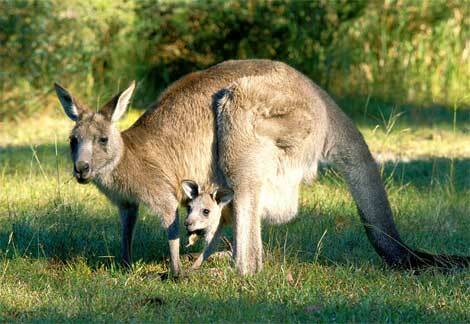 Baby kangaroos stay in the mother's pouch for some time.